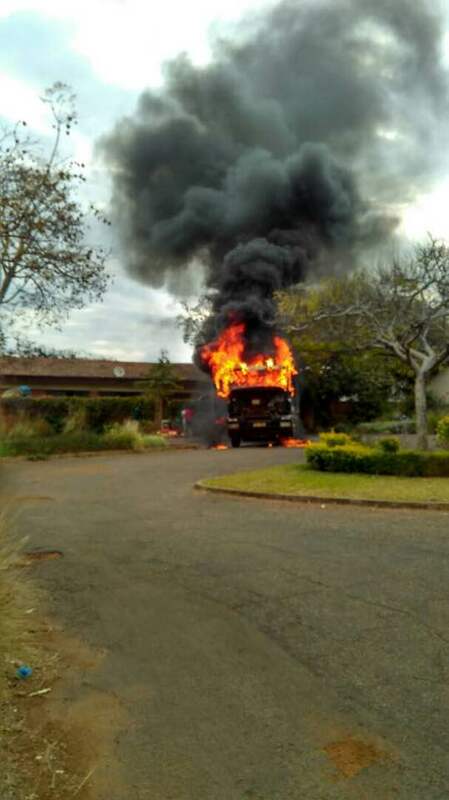 Fierce fire on Thursday gutted down Southern bottlers vehicle at Kamuzu Academy compound while on its delivery errands, faceofmalawi can reveal. 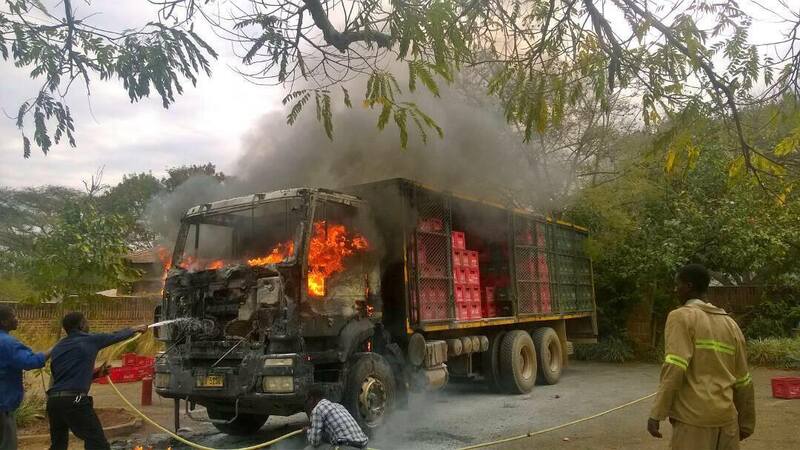 Last month also fire consumed Carlsberg Malawi Limited Company situated in Makata Township in the commercial capital Blantyre where the vehicle belongs. The cause of the fire is not known at the moment. Meanwhile no one has been injured in the fire accident.